The 2018 Regular Session of the Mississippi Legislature convened on January 2, 2018 and adjourned sine die on March 28, 2018. The Center for Mississippi Health Policy tracked selected health-related bills throughout the session, posting status updates on this page. Listed below are the health-related bills that were passed during this session. Click on the bill number to access a copy of the bill and view its history. Click on the bill’s title to open a drop-down box and view more details about the bill. There are also links to legislative schedules, committee member listings, legislative deadlines, and daily calendars in the side bar to the left. Notes: This bill includes a provision that would divert 50 percent of the revenue generate to the State Trauma Fund. One of the primary changes in this bill was to change a violation under this section from a “civil” violation to a “criminal” violation because the Department of Public Safety claimed a violation under this section was unenforceable as a “civil” violation. HB 900 also refers to a violation of the texting while driving law as a “civil” violation rather than “criminal”, but HB 900 was not amended to change the enforcement provision. This bill includes a provision that would divert 50 percent of the revenue generate to the State Trauma Fund. One of the primary changes in this bill was to change a violation under this section from a “civil” violation to a “criminal” violation because the Department of Public Safety claimed a violation under this section was unenforceable as a “civil” violation. HB 900 also refers to a violation of the texting while driving law as a “civil” violation rather than “criminal”, but HB 900 was not amended to change the enforcement provision. To access a copy of the bill and view its history, click here. Notes: The most notable changes to current law this bill would make is to require renewal every three years rather than every year and change the fee from $50 every year to $150 every three years. The most notable changes to current law this bill would make is to require renewal every three years rather than every year and change the fee from $50 every year to $150 every three years. Notes:The most notable changes this bill would make to current law is to allow the Department of Finance to go through a new selection process of a nonprofit entity to lease the land on which facility will be built and designate a specific new piece of land to locate the facility. The most notable changes this bill would make to current law is to allow the Department of Finance to go through a new selection process of a nonprofit entity to lease the land on which facility will be built and designate a specific new piece of land to locate the facility. Notes: The most notable change this bill would make to current law is to allow for provisional licensed professional counselors who have received a master’s degree, rather than a doctoral degree, to train under a licensed supervising counselor to get the number of training hours required to become a licensed professional counselor by the state board of Examiners. This bill would also allow the supervising licensed counselor to bill for the services of the provisional licensed professional counselor while they are getting their training hours. The most notable change this bill would make to current law is to allow for provisional licensed professional counselors who have received a master’s degree, rather than a doctoral degree, to train under a licensed supervising counselor to get the number of training hours required to become a licensed professional counselor by the state board of Examiners. This bill would also allow the supervising licensed counselor to bill for the services of the provisional licensed professional counselor while they are getting their training hours. Notes: This bill would allow pharmacists to provide additional information to a patient giving them an opportunity to consider affordable alternative payment options when acquiring their prescriptions, including costs and clinical efficacy of more affordable alternative drugs available. In some instances, the contracts that pharmacies have with pharmacy benefit managers prohibit pharmacists from telling patients that they could purchase their medicine at a lower price; this bill would prohibit this practice. This bill would allow pharmacists to provide additional information to a patient giving them an opportunity to consider affordable alternative payment options when acquiring their prescriptions, including costs and clinical efficacy of more affordable alternative drugs available. In some instances, the contracts that pharmacies have with pharmacy benefit managers prohibit pharmacists from telling patients that they could purchase their medicine at a lower price; this bill would prohibit this practice. Notes:48 states currently allow for state boards of nursing to have authority over accreditation of community college schools of practical nursing. 48 states currently allow for state boards of nursing to have authority over accreditation of community college schools of practical nursing. Notes: This bill would extend the existence of the review panel for another 3 years, at which time the review panel would have to be reauthorized by the legislature or it will be dissolved. This bill would extend the existence of the review panel for another 3 years, at which time the review panel would have to be reauthorized by the legislature or it will be dissolved. Notes: This bill allows for the continuation of the licensure requirements for nursing home administrators for 3 years, at which time the requirements would have to be reauthorized by the legislature or they will be dissolved. This bill allows for the continuation of the licensure requirements for nursing home administrators for 3 years, at which time the requirements would have to be reauthorized by the legislature or they will be dissolved. Notes: This bill would remove the requirement that the legislature reauthorize the law after a specified period of time. Of note, this bill retains the provision that makes texting while driving a “civil” violation rather than a “criminal” violation which has been reported by officials as part of the reason the law has been difficult to enforce. HB 900 shared the same issue with HB 325 in regard to the lack of enforceability due to the legislature originally classifying the violation as “civil” rather than “criminal”, but in HB 325 the legislature made the necessary change to classify a violation involving a lack of vehicle insurance to be criminal. Proposed SB 2599 would have made texting while driving a criminal violation and enhanced restrictions on mobile phone use while driving beyond only texting and social media. SB 2599 passed the Senate but died when it failed to get out of committee in the House. This bill would remove the requirement that the legislature reauthorize the law after a specified period of time. Of note, this bill retains the provision that makes texting while driving a “civil” violation rather than a “criminal” violation which has been reported by officials as part of the reason the law has been difficult to enforce. HB 900 shared the same issue with HB 325 in regard to the lack of enforceability due to the legislature originally classifying the violation as “civil” rather than “criminal”, but in HB 325 the legislature made the necessary change to classify a violation involving a lack of vehicle insurance to be criminal. Proposed SB 2599 would have made texting while driving a criminal violation and enhanced restrictions on mobile phone use while driving beyond only texting and social media. SB 2599 passed the Senate but died when it failed to get out of committee in the House. Notes: Requires prior approval by the Commissioner of Insurance before the Health Insurance Risk Pool can be closed. Commissioner Chaney confirmed that the number of current enrollees in the MCHIRPA is now zero. Once all outstanding claims have been adjudicated, the Risk Pool can be closed. This bill would require the Commissioner to sign off on the distribution of any remaining funds. Requires prior approval by the Commissioner of Insurance before the Health Insurance Risk Pool can be closed. Commissioner Chaney confirmed that the number of current enrollees in the MCHIRPA is now zero. Once all outstanding claims have been adjudicated, the Risk Pool can be closed. This bill would require the Commissioner to sign off on the distribution of any remaining funds. Notes: This bill would change the inspection responsibilities, fees collected, and supervision of honey sales from the State Department of Health to the Mississippi Department of Agriculture and Commerce. This bill would change the inspection responsibilities, fees collected, and supervision of honey sales from the State Department of Health to the Mississippi Department of Agriculture and Commerce. Notes: This bill brings forward the section of Mississippi code covering the Medical Emergency Good Samaritan Act in order to encourage individuals experiencing an overdose, or a witness to another experiencing an overdose, to seek medical attention by requiring that a peace officer not arrest, charge, or prosecute them for a drug violation. This bill brings forward the section of Mississippi code covering the Medical Emergency Good Samaritan Act in order to encourage individuals experiencing an overdose, or a witness to another experiencing an overdose, to seek medical attention by requiring that a peace officer not arrest, charge, or prosecute them for a drug violation. Notes: The bill would require insurance companies to allow pharmacists to fill partial prescriptions so that a patient can coordinate the timing of all their prescriptions and have them all filled on the same day. This bill would allow for pharmacies to override denial codes under certain circumstances to synchronize multiple prescription drug refills for individual and group health insurance contracts and apply a prorated cost-sharing rate when doing so. The bill would require insurance companies to allow pharmacists to fill partial prescriptions so that a patient can coordinate the timing of all their prescriptions and have them all filled on the same day. This bill would allow for pharmacies to override denial codes under certain circumstances to synchronize multiple prescription drug refills for individual and group health insurance contracts and apply a prorated cost-sharing rate when doing so. Notes: This bill would direct the University of Mississippi Medical Center to create an advisory council comprised of certain other state health agencies to research the impact of rare diseases in Mississippi and provide a report to the legislature. This bill would direct the University of Mississippi Medical Center to create an advisory council comprised of certain other state health agencies to research the impact of rare diseases in Mississippi and provide a report to the legislature. Notes: The most notable change this bill would make to current law is to establish that the appointee to boards for community hospitals and certain community hospital systems may not own an interest in, or be an officer or employee of a company or business that provides goods or services in direct or indirect competition with the community hospital, nor may the appointee’s spouse own an interest in, or be an officer of the company or business. The most notable change this bill would make to current law is to establish that the appointee to boards for community hospitals and certain community hospital systems may not own an interest in, or be an officer or employee of a company or business that provides goods or services in direct or indirect competition with the community hospital, nor may the appointee’s spouse own an interest in, or be an officer of the company or business. Notes: This bill would change current law defining an “autocycle.” Notably, this type of vehicle has rollover protection, but current law would not require the driver to wear a helmet. This bill would change current law defining an “autocycle.” Notably, this type of vehicle has rollover protection, but current law would not require the driver to wear a helmet. Notes: This bill would primarily change the responsibilities the Department of Public Safety must promote for drug testing for those suspected of DUI, primarily that the offender must pay the cost and if the individual is indigent the cost paid to the vendor providing the testing will be paid out of the Interlock Device Fund and establish vendor reporting requirements. The focus of this bill is on non-alcohol related DUI offenses. This bill would primarily change the responsibilities the Department of Public Safety must promote for drug testing for those suspected of DUI, primarily that the offender must pay the cost and if the individual is indigent the cost paid to the vendor providing the testing will be paid out of the Interlock Device Fund and establish vendor reporting requirements. The focus of this bill is on non-alcohol related DUI offenses. Notes: This bill is often referred to as the Medicaid “Tech” bill, or the Medicaid technical amendments bill. This bill amends the section of the law that defines the health care services the Division of Medicaid will provide. The House amended the Senate’s version of this bill by replacing the contents with the House’s version. The Senate did not accept the House changes, so the final bill will be decided in a conference committee comprised of select members from both the House and the Senate. Key provisions of the both versions include the following: removes annual volume limits on certain services; allows physician-administered drugs to be billed as a medical or pharmacy claim; removes prohibition on including certain mental health services under managed care; removes the requirement for legislative approval for certain changes in the program; and broadens the Governor’s authority to make changes in the program when expenses exceed appropriations. Key provisions in the House version include the following: allows rural hospitals (50 beds or less) to be reimbursed for outpatient services on a cost-based method; institutes a hospital readmission prevention program to reduce hospital readmissions; removes minimum payment levels for emergency transportation and dental services; authorizes psychiatric reimbursement up to 100 percent of Medicare rate; requires independent periodic audits of managed care companies; requires use of CMS’s prospective payment reimbursement model for FQHCs; requires the Division of Medicaid to rebid managed care contracts; establishes a 3 year pilot program to evaluate an alternative managed care payment model for children with medically complex conditions; authorizes coverage of medication-assisted treatment and other services for substance use disorders; and requires managed care organizations to accept Medicaid’s credentialing of providers in lieu of their own. Key provisions of the Senate version include the following: defines payment parameters for primary care physician, pharmacy, and dental services; establishes a floor for DSH and MHAP payments to hospitals to be effective 1/1/19 unless Medicaid and MHA agree on a payment formula; establishes limits on inpatient care for substance use disorders; defines coverage for 17(P) for pregnant women; defines covered inpatient services for inmates; requires the Medical Care Advisory Committee to study and report on provider reimbursement rates; removes minimum payment levels for providers under managed care programs; requires legislative approval to expand managed care; establishes a Commission on Expanding Medicaid Managed Care to make recommendations regarding Medicaid managed care contracts; and extends repealers on provisions related to certain provider assessments. This bill is often referred to as the Medicaid “Tech” bill, or the Medicaid technical amendments bill. This bill amends the section of the law that defines the health care services the Division of Medicaid will provide. The House amended the Senate’s version of this bill by replacing the contents with the House’s version. The Senate did not accept the House changes, so the final bill will be decided in a conference committee comprised of select members from both the House and the Senate. Notes: This bill would allow the University of Mississippi Medical Center to dig up and move the human remains buried in the area known as Potter’s Field on the University’s campus in Jackson and provides immunity for disturbing the graves. This bill would allow the University of Mississippi Medical Center to dig up and move the human remains buried in the area known as Potter’s Field on the University’s campus in Jackson and provides immunity for disturbing the graves. Bill Status: Approved by Governor 4/13 | This bill includes a provision that would divert 50 percent of the revenue generate to the State Trauma Fund. One of the primary changes in this bill was to change a violation under this section from a “civil” violation to a “criminal” violation because the Department of Public Safety claimed a violation under this section was unenforceable as a “civil” violation. HB 900 also refers to a violation of the texting while driving law as a “civil” violation rather than “criminal”, but HB 900 was not amended to change the enforcement provision. Bill Status: Approved by Governor 3/9 | The most notable changes to current law this bill would make is to require renewal every three years rather than every year and change the fee from $50 every year to $150 every three years. Bill Status: Approved by Governor 3/15 | The most notable changes this bill would make to current law is to allow the Department of Finance to go through a new selection process of a nonprofit entity to lease the land on which facility will be built and designate a specific new piece of land to locate the facility. Bill Status: Approved by Governor 3/19 | The most notable change this bill would make to current law is to allow for provisional licensed professional counselors who have received a master’s degree, rather than a doctoral degree, to train under a licensed supervising counselor to get the number of training hours required to become a licensed professional counselor by the state board of Examiners. This bill would also allow the supervising licensed counselor to bill for the services of the provisional licensed professional counselor while they are getting their training hours. Bill Status: Approved by Governor 3/8 | This bill would allow pharmacists to provide additional information to a patient giving them an opportunity to consider affordable alternative payment options when acquiring their prescriptions, including costs and clinical efficacy of more affordable alternative drugs available. In some instances, the contracts that pharmacies have with pharmacy benefit managers prohibit pharmacists from telling patients that they could purchase their medicine at a lower price; this bill would prohibit this practice. Bill Status: Approved by Governor 3/15 | 48 states currently allow for state boards of nursing to have authority over accreditation of community college schools of practical nursing. Bill Status: Approved by Governor 3/8 | This bill would extend the existence of the review panel for another 3 years, at which time the review panel would have to be reauthorized by the legislature or it will be dissolved. Bill Status: Approved by Governor 3/8 | This bill allows for the continuation of the licensure requirements for nursing home administrators for 3 years, at which time the requirements would have to be reauthorized by the legislature or they will be dissolved. Bill Status: Approved by Governor 3/16 | This bill would remove the requirement that the legislature reauthorize the law after a specified period of time. Of note, this bill retains the provision that makes texting while driving a “civil” violation rather than a “criminal” violation which has been reported by officials as part of the reason the law has been difficult to enforce. HB 900 shared the same issue with HB 325 in regard to the lack of enforceability due to the legislature originally classifying the violation as “civil” rather than “criminal”, but in HB 325 the legislature made the necessary change to classify a violation involving a lack of vehicle insurance to be criminal. Proposed SB 2599 would have made texting while driving a criminal violation and enhanced restrictions on mobile phone use while driving beyond only texting and social media. SB 2599 passed the Senate but died when it failed to get out of committee in the House. Bill Status: Approved by Governor 3/19 | Requires prior approval by the Commissioner of Insurance before the Health Insurance Risk Pool can be closed. Commissioner Chaney confirmed that the number of current enrollees in the MCHIRPA is now zero. Once all outstanding claims have been adjudicated, the Risk Pool can be closed. This bill would require the Commissioner to sign off on the distribution of any remaining funds. Bill Status: Approved by Governor 3/16 | This bill would change the inspection responsibilities, fees collected, and supervision of honey sales from the State Department of Health to the Mississippi Department of Agriculture and Commerce. Bill Status: Approved by Governor 4/12 | This bill brings forward the section of Mississippi code covering the Medical Emergency Good Samaritan Act in order to encourage individuals experiencing an overdose, or a witness to another experiencing an overdose, to seek medical attention by requiring that a peace officer not arrest, charge, or prosecute them for a drug violation. Bill Status: Approved by Governor 3/5 | The bill would require insurance companies to allow pharmacists to fill partial prescriptions so that a patient can coordinate the timing of all their prescriptions and have them all filled on the same day. This bill would allow for pharmacies to override denial codes under certain circumstances to synchronize multiple prescription drug refills for individual and group health insurance contracts and apply a prorated cost-sharing rate when doing so. 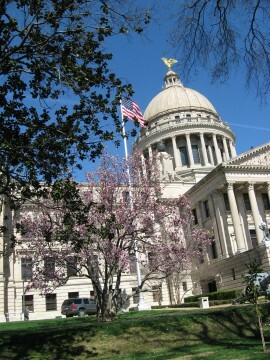 Bill Status: Approved by Governor 3/19 | This bill would direct the University of Mississippi Medical Center to create an advisory council comprised of certain other state health agencies to research the impact of rare diseases in Mississippi and provide a report to the legislature. Bill Status: Approved by Governor 4/11 | The most notable change this bill would make to current law is to establish that the appointee to boards for community hospitals and certain community hospital systems may not own an interest in, or be an officer or employee of a company or business that provides goods or services in direct or indirect competition with the community hospital, nor may the appointee’s spouse own an interest in, or be an officer of the company or business. Bill Status: Approved by Governor 3/5 | This bill would change current law defining an “autocycle.” Notably, this type of vehicle has rollover protection, but current law would not require the driver to wear a helmet. Bill Status: Approved by Governor 4/13 | This bill would primarily change the responsibilities the Department of Public Safety must promote for drug testing for those suspected of DUI, primarily that the offender must pay the cost and if the individual is indigent the cost paid to the vendor providing the testing will be paid out of the Interlock Device Fund and establish vendor reporting requirements. The focus of this bill is on non-alcohol related DUI offenses. Bill Status: Approved by Governor 4/12 | This bill is often referred to as the Medicaid “Tech” bill, or the Medicaid technical amendments bill. This bill amends the section of the law that defines the health care services the Division of Medicaid will provide. The House amended the Senate’s version of this bill by replacing the contents with the House’s version. The Senate did not accept the House changes, so the final bill will be decided in a conference committee comprised of select members from both the House and the Senate. Bill Status: Approved by Governor 3/27 | This bill would allow the University of Mississippi Medical Center to dig up and move the human remains buried in the area known as Potter’s Field on the University’s campus in Jackson and provides immunity for disturbing the graves.